A Belarusian opposition politician is one of several activists who have reportedly been arrested during two days of rallies to mark an independence anniversary. Zmitser Dashkevich – described by Amnesty International as a prisoner of conscience after previous jail terms – is said to have been detained on Sunday as he spoke to a crowd in Minsk and challenged President Aleksander Lukashenko’s legitimacy. On Monday police in the capital stopped several hundred people from staging a rally and arrested at least 15, according to the human rights group Viasna. They are said to have included several opposition politicians, most of whom were released without charges. Two opposition activists are still in detention, Viasna says. 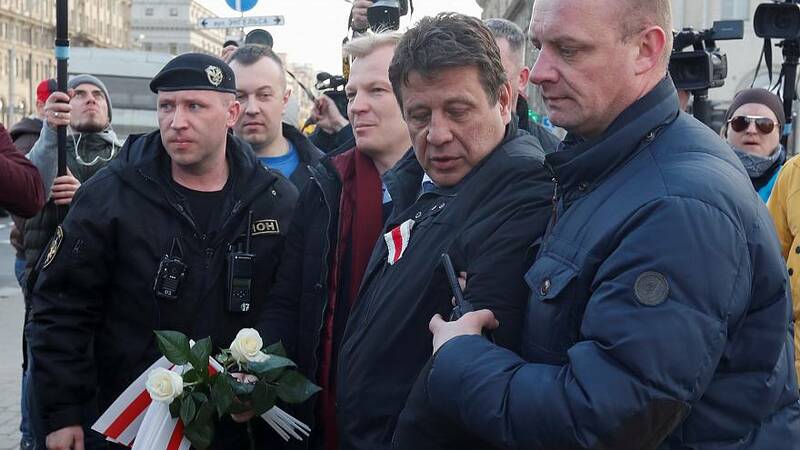 Dashkevich's wife Nasta said plainclothes police detained her husband and “took him away” shortly after he addressed around 2,000 people at Sunday's rally, Radio Free Europe/Radio Liberty reported. Dashkevich, 37-year-old leader of the Young Front political movement and organiser of the event, called the country’s president a “self-proclaimed leader”, according to RFE/RL quoting his wife. The Poland-based Belsat TV, which aims to provide an alternative to state-controlled media in Belarus, quoted Dashkevich as describing Lukashenko an “impostor”. Its report quoted friends as saying they believed the politician would stand trial. However, his wife’s Facebook page on Tuesday morning implied he had not yet appeared in court. Sunday‘s event in Minsk – which the government banned from the city centre – saw several thousand people gather to celebrate Freedom Day, marking 101st anniversary of the short-lived Belarusian People's Republic in World War I. It’s an unofficial holiday and has become a magnet for opposition protests against Lukashenko and the country’s close ties to Russia. 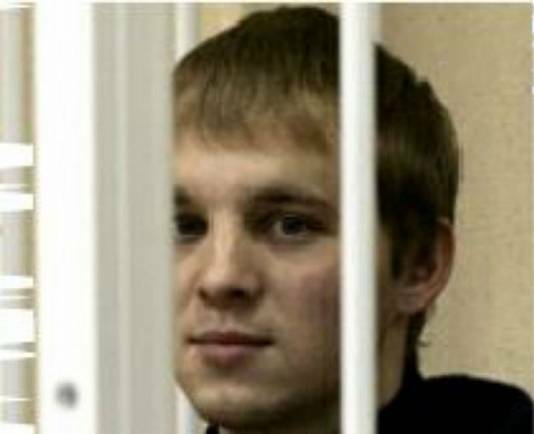 Zmitser Dashkevich has spent time in prison in the past and has convictions for “illegal political activity”, assault, and refusal to obey orders. Human Rights Watch condemned his treatment in jail. President Lukashenko has ruled Belarus since 1994, in a style compared to that of the former Soviet Union. He has heeded some calls from the West to show more leniency towards political opposition, but opponents have said their freedom to operate remains severely limited.